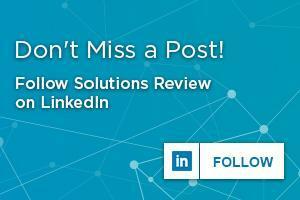 Today, we live in a world where, to stay connected and updated in real-time, is crucial for making important business decisions. Smart devices such as phones, tablets and digital assets have redefined the corporate landscape which is creating an increasing dependence on cloud connectivity in order to complete business tasks anywhere, anytime. Apart from meeting the needs and demands of customers, organizations generally want to go the extra mile to exceed expectations from their customers and even their own business goals. In an attempt to achieve this, organizations are feeling the pressure to equip and empower their workforce to be productive enough even when they are on-the-go. 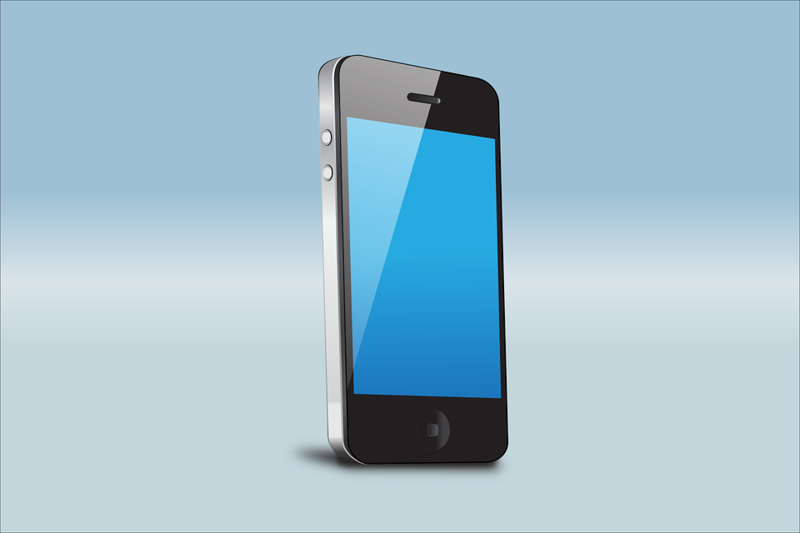 This is where enterprise mobility comes into play. Experts define enterprise mobility as not only the ability of workers to work outside an office, but the mobility of corporate data through technology networks. Generally speaking, it describes the trend of a greater number of employees working outside of an office setting and using mobile devices, cloud services and such to perform business tasks. Stacy Leidwinger, VP of Product for Nuance Document Imaging, defines mobile BPM as a practice that focuses on analyzing mobile business processes in aggregate across the enterprise, so best practices can be identified and implemented across multiple cross-functional areas. Like any digital transformation or shifting business trends, organizations that are open to change and are willing to adapt quickly, can counter the competition long-term. With that being said, organizations need to keep an open mind and be reminded of the fact that the real leverage comes from connecting systems, business processes, people, and things of the organization so that they can all operate in sync, in the right context to deliver good results. As we all know, smartphones and smart devices have the ability to gather information, however, the difference between information gathered via conventional sources vs. the information collected via mobile devices is that it is contextual. User activity, location, Internet access, and employee availability are all characteristics that factor into this. Mobile Device Management (MDM) gives your IT department the opportunity to track, manage and secure an employee or corporate-owned device. Each device and employee typically has a profile that is created just for them and their tasks. An MDM solution means a business can configure Wi-Fi access as well as install and manage enterprise apps. It also means an IT department can remotely lock and wipe a device if it’s lost or stolen. increased productivity: as it empowers individuals to be more productive due to the convenience of allowing digital communication and capability anywhere, at any time – which also increases employee engagement. data accuracy: as it enables employees to have access to relevant data and promote process improvement. reduced costs: as most individuals now-a-days are familiar with owning and working with a smartphone and/or tablet, so there is no in-depth training needed. Why Use BPM and Mobility Together? Business Process Management (BPM) software has evolved over time to a point where it can be easily integrated with mobile application development platforms and provide its capabilities through a traditional process modeling environment. In this light, organizations can take advantage of utilizing BPM and mobility together to create mobile app-enabled applications and the ability to work remotely from any location without missing a beat. A mobile BPM tool can serve as a “Center of Excellence,” helping organizations better identify and understand those mobile workflows that have produced the most success within individual departments. And it can be extended across multiple departments as a tool to standardize and automate best practices. One of the biggest advantages of mobile BPM is that organizations don’t necessarily have to reinvent the wheel every time they want to optimize a particular mobile business process. They can harness the past and current experiences of other departments to solve similar workflow challenges, which helps them grow stronger as an organization while ensuring a more uniform, consistent level of mobile workflow excellence. reducing complexities: to eliminate the technical aspects and give the user a simple app to solve any problem. faster planning: planning periods that business leaders need to take to better prepare themselves and employees for new strategies, product launches and other critical areas of operations are enhanced with mobile BPM. data dependency: mobile BPM reinforces data accuracy, information availability and consistency to ensure organizations stay constantly engaged with data available to them. increased profit: as firms will be able to harness the power of both mobile solutions and process management software to boost overall profits. BPM tools that work alongside these mobile applications leverage low-code development functions into the hands of business users. What’s’ more, businesses and IT teams can seamlessly collaborate while developing proprietary apps. Businesses and IT teams can also ensure that the technology and corporate functionality sides of the apps work in tandem with each other and deliver a seamless experience to end users. These built-in mobile application development capabilities within BPM tools offer a rich framework that develop, deploy and manage configurable hybrid mobile apps and support multiple mobile environments. By combining the power of BPM with the utility of enterprise applications, organizations can drive greater efficiencies and ensure a faster Return on Investment (ROI). Mobile BPM can help identify and apply best practices across multiple departments leveraging mobile devices; mobile workflow (and mobile capture technologies) can be used to kick off business processes. You can’t have process without the data to trigger the process. Looking for more? 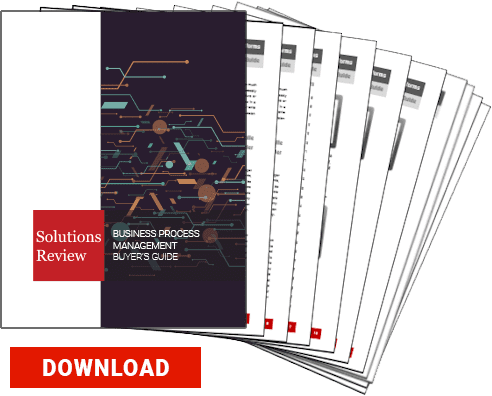 Download our Business Process Management Buyer’s Guide for free to compare the top-24 products available on the market with full page vendor profiles. 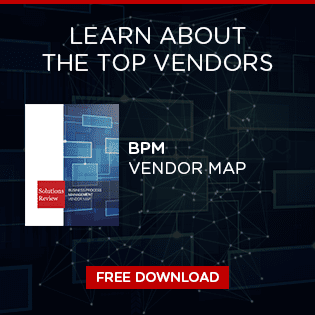 The guide includes four key capabilities to look for in a BPM platform, plus questions to ask before purchasing. It’s truly the perfect resource for anyone looking to find the right BPM for their business/organization, or those looking to replace an existing one.